PRICES for feedgrain in southern Queensland have slipped a few dollars per tonne following rain in the past week, which has sparked some early planting of winter crops in pockets of New South Wales. In a week of particularly quiet trade, most grain-market quotations north of the NSW-Queensland border unsurpringly have eased a little. 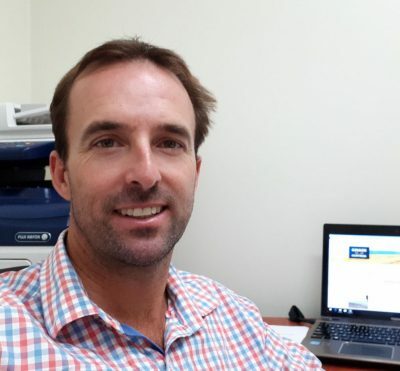 Alliance Grains manager Luke Walker said Queensland’s delivered Darling Downs markets were off perhaps $5/t over the week. “Wheat has been under a small amount of pressure since the rain, and would be quoted around $415/t delivered Downs,” Mr Walker said. While southern Queensland has had the best of the recent rain, its major cropping areas are still at least a fortnight away from planting. Rainfall in the week to 9am today included 15-35mm over much of the NSW tablelands, which will kick along autumn pasture growth and clip grazier demand for grain and cottonseed for livestock. Rain over the NSW grainbelt in the past week was patchy, with the southwest slopes and pockets of the northwest recording significant amounts. Registrations included Coonamble with 94mm, Gunnedah with 82mm, West Wyalong with 28mm and Young with 43mm. In cropping areas of Central Queensland, handy rain also fell, with totals including Clermont with 30mm, Emerald with 17mm and Springsure with 21mm. Falls were mostly higher in parts of southern Queensland and on the Downs, and included Macalister with 42mm, Dalby 34mm, Jondaryan 49mm, Miles 57mm, Roma 30mm and Surat with 36mm. In Victoria, handy rain was confined largely to the state’s drought-affected east, with falls in the key cropping areas in the Mallee and Wimmera being minimal, and in line with registrations in the outer slopes and plains of southern NSW. Norco trader Simon McDougall said the rain in northern NSW has failed to soften the region’s grain values, as all areas still need significant rain to allow them to plant the bulk of their next crop with confidence. “Even people that got a lot of rain on the black country have found their topsoil was dry a few days after because their ground was just so low on moisture,” Mr McDougall said. Mr McDougall said the Liverpool Plains and surrounding districts might be able to plant up to 20 per cent of its intended winter-crop area on recent rain. Sorghum in northern NSW is being offered by growers at around $370/t on-farm, and bid at $350/t. “End-users aren’t wanting to step up to those levels, and most sorghum growers have cotton coming off at the moment, so their cash flow coming up to the end of the financial year is okay. “They might want to sell some of their sorghum once they get to July-August. This is what growers and end-users alike are hoping for, with small-to-medium enterprises still buying hand to mouth in the hope a widespread and timely planting of winter-crop forces down cereal values. Today, they are quoted in the Newcastle free-on-truck (fot) market at $375-$380/t for barley, and $415/t for wheat, which equates to $445/t for wheat delivered Liverpool Plains. The Brisbane fot market is offered at $407/t on wheat, and $370 for barley. Ardlethan-based Delta Grain Marketing broker Brad McKinnon said winter-crop planting was well and truly under way on the southwest slopes of NSW. 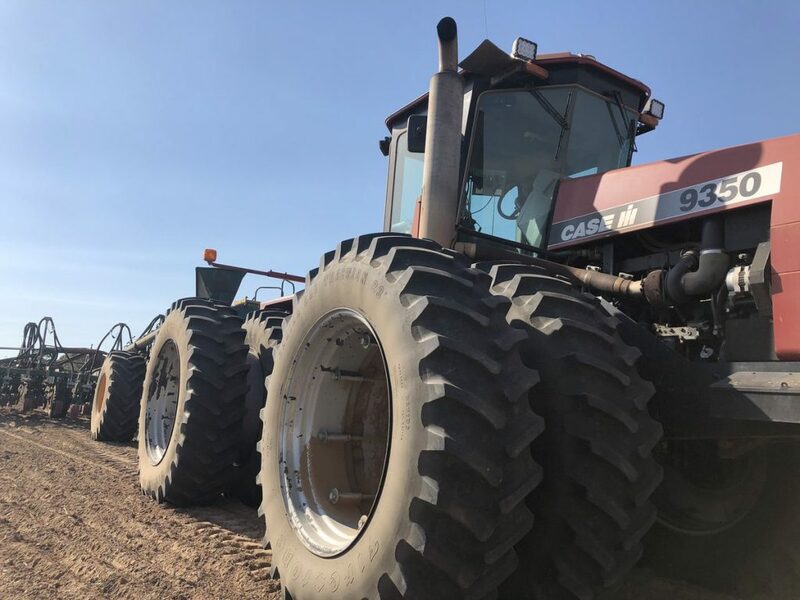 “We’ve got oats and early wheat going in, and some long-season grazing canola is up and away because it was planted earlier,” Mr McKinnon said. With sheep prices stronger, some producers have continued to source small volumes of grain from the local market, with wheat trading at $410-$420/t farmer to farmer. Mr McKinnon said mixed farmers were prepared to pay a few dollars per tonne more for local grain over comparable grades sourced from interstate. Growers are fearful interstate grain could carry foreign weed seeds, weed seeds with resistance to certain herbicides, and added disease risks into their cropping systems. The NSW Department of Primary Industries has already prohibited lupins from WA and SA for use as seed or paddock feed because of the possibility it could introduce anthracnose. Many producers in southern NSW are still paddock-feeding livestock with grain they harvested last year. The cottonseed trade is in changeover mode during April as new season cotton is ginned, replenishing supply of cottonseed as it becomes available ex gin site. While gins in central Queensland have been operating for some time, those in southern Queensland and Northern New South Wales will start this week and next. Woodside Commodities manager Hamish Steele-Park said the cotton industry would need to see good rain in catchments over winter to stop things getting worse next year. “Prompt cottonseed is still trading at a premium, say around $630/t delivered Darling Downs prompt delivery,” Mr Steele-Park said. As soon as cottonseed is readily available at most gin sites, the premium between prompt and gin spread will go, as is already indicated by forward-quoted values and prompt closing the gap. New-season unmilled almond hulls have commenced outload from a southern New South Wales almond processor. Quoted around $200/t ex, they are being carted to key NSW feed-deficit regions between the central west and the New England, and are landing at values around $100/t under the approx. $450/t price of cereal hay.